Unlike physical tests and interviews, many candidates are not familiar with psychometric testing and may be nervous about completing this part of a hiring process. The following information provides an overview of the BL Associates Corporate Psychologists Inc. firefighter competency testing process and what a candidate can expect to experience during a testing session. BL Associates Corporate Psychologists Inc. has been providing firefighter competency screening services to Canadian municipalities since 1984. In 1998, the company became a partner in A. W. Fraser & Associates and continued to provide the service under that partnership’s banner. A. W. Fraser & Associates was dissolved after its assets were sold to L. Stefan & Associates Inc. in 2012 – which, then, changed its name to Stefan, Fraser & Associates Inc. Under the terms of that sale, the company continued to provide the service through the newly named company. 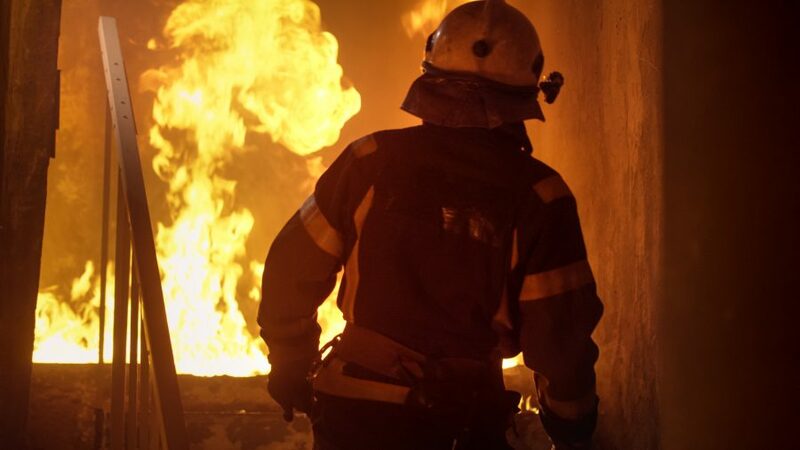 On June 1, 2016, BL Associates Corporate Psychologists Inc. severed those ties, returned to doing business under its own name, and continues to offer firefighter-competency screening services to departments across North America. Testing takes place over 4 hours. Most candidates are able to complete the questionnaires in about 3 hours but, as not all questionnaires are timed, some candidates take longer to complete the questionnaires than others. When candidates arrive at the testing location, they are checked in by representatives of the municipality to which they have applied. (Candidates should contact the municipality directly if they have questions about the documentation to be presented at check-in.) Candidates are tested in groups of up to 150 people. Candidates are encouraged to arrive early to ensure they have enough time to find parking and to check in. All materials that candidates need are provided at the time of testing. Depending on the municipality for which candidates are being tested, they will complete 3-to-6 separate questionnaires. The demands placed on firefighters are not the same from department to department and this fact is reflected in the questionnaires completed by candidates for any given administration. At the beginning of a testing session but before responding to the actual questionnaires, candidates are required to read and sign a form that gives consent for BL Associates Corporate Psychologists Inc. to submit their personal information and test results to the municipality to which they have applied. The problem-solving questionnaires are administered earlier in the session, followed by the more lengthy questionnaires focused on character and interests. The problem-solving questionnaires have time limits for completion ranging from 5 to 20 minutes each. The questionnaires focused on character and interests are not timed but can be completed in 30 to 40 minutes each. There are no scheduled breaks during a testing session. However, once the problem-solving questionnaires have been completed and the character-interest questionnaires have been started, candidates are free to leave the room and return. During such breaks, candidates must leave all test materials at their testing station/seat. There is no restriction on the amount of time a candidate may be absent during such a break but all questionnaires must be completed and returned to the administrators within the four-hour time frame set for the session. After candidates have completed psychometric testing for a fire department, their responses are processed and scores are generated for each candidate on each of the firefighter competencies. Results are delivered to the municipality within 10 working days from the date of testing. Based on the results, the municipality decides which candidates will proceed to the next stage of the hiring process and notifies candidates of their status going forward. Once notified by a municipality of their status, candidates may contact BL Associates Corporate Psychologists Inc. to schedule a telephone feedback conversation to discuss their individual test results. These conversations focus ONLY on candidates’ test scores and will NOT touch on other aspects of the hiring process – such as interviews, physical testing, ride along, etc. The best way to prepare for a firefighter competency testing session is to have a good sleep the two nights prior and to come to the testing session well rested! The problem-solving questionnaires, in particular, are susceptible to fatigue effects because of the time limits and it is important that candidates be fresh and alert to perform at their best. Moreover, the testing takes place over a four-hour period and candidates need to focus their attention for the entire time. The level of energy required to maintain concentration for the 4-hour session is equivalent to that needed for a full day at work. Our firefighter competency testing process was developed to provide municipalities with a method of screening candidates that does not unfairly advantage those who have prior knowledge of firefighting or experience as a firefighter. It is focused on the skills, abilities, and other characteristics that candidates need to bring to job in order to become proficient and perform effectively. Where other approaches may test candidates for their knowledge of firefighting techniques, our process tests candidates for their ability to learn what they need to know to fight fires and to execute firefighting tasks effectively. Character & Interest: we encourage candidates to prepare to write the character and interest questionnaires by (a) reflecting on their personal qualities and (b) resolving to portray their personal qualities honestly and accurately. It is understandably tempting for candidates to answer questions based on how they think firefighters would answer instead of how they, themselves, feel. This is a poor strategy as it tends to distort one’s results in the negative direction. Mathematical: ability to perform mathematical computations. The best way to build math skills is to do lots of computations that require different kinds of operations (i.e. : addition, subtraction, multiplication, and division). The sites below must be customized by selecting all of the arithmetic operators (+, -, /, x) and experimenting with the other options to generate a broad domain of question types. To simulate actual testing conditions, set length to “open”, level to “100”, and time to “100:00”. The preceding links are provided as a courtesy to assist candidates with preparation for verbal and mathematical questions. We are not responsible for the content of the sites and does not provide assistance with the materials presented on them, nor do we respond to questions about them. Other methods of preparation can also be helpful. We have not identified any free on-line practice materials that we are willing to recommend for practice of the two following competencies. Reasoning: ability to think logically in order to arrive at sound conclusions. A good way to build reasoning skills is consistently to apply formal logic to problems without allowing attitudes and feelings to affect the conclusions. If searching the web, look for practice materials labelled “symbolic reasoning,” “abstract reasoning,” and “syllogisms”. Mechanical: ability to understand mechanical systems and how they work. A good way to build mechanical understanding is to study the mechanics of gears and pulleys together with a review of the mechanical principles of force and motion. The tests we use result in numerical scores in three areas: intellect; character; interests. Intellectual scores index a candidate’s learning and problem-solving strengths as they relate to firefighting. Research as shown that firefighters need four intellectual strengths to perform effectively: verbal; mathematical; reasoning; mechanical. Character scores index a candidate’s personal and interpersonal strengths as they relate to firefighting. Research has shown that firefighters need nine characteristics to perform effectively: responsibility; team work; desire to learn; getting along with others; stress resistance; courage; activity; cleanliness; socialization. Interest scores index a candidate’s work interests as they relate to firefighting. Research has shown that firefighters need to have an interest in two kinds of work activities to be effective: construction and medical. The 15 intellectual, character, and interest competencies were identified through the most in-depth analysis ever conducted of the job of firefighter. They have been updated over time to reflect changes in the role with the advent of new technology and have been customized to meet the demands placed on firefighters in specific fire departments.